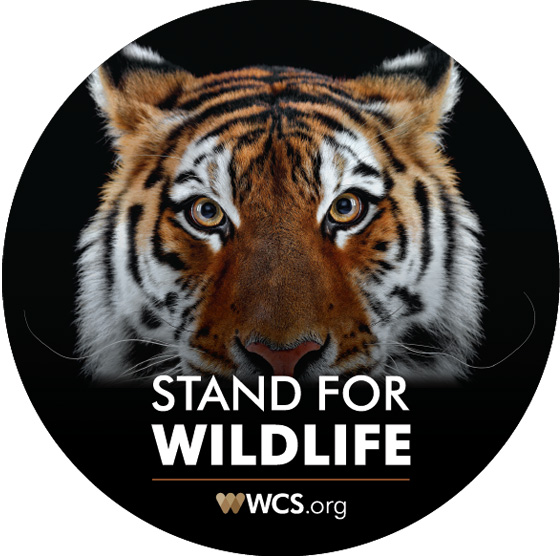 Each year, WCS scientists author or co-author nearly 300 peer-reviewed studies and papers. “WCS 3 Sentence Science” is a regular tip-sheet – in bite sized helpings – of some of this published work. 1. The number of vascular plant species known to occur in Gabon is rising quickly due to renewed collecting and inventory activities, often in little-known or previously uncollected areas. 2. Researchers have now confirmed 190 species of grasses including eleven species and one variety recorded in Gabon for the first time. 3. New records of four rare grass species (Elionurus lien sit, Guaduella macrostachys, Paratheria prostrata and Puelia schumanniana) are discussed in the study. 1. Habitat destruction is among the greatest threats facing biodiversity, affecting common and threatened species alike. 2. However, metrics for communicating its impacts typically overlook the non-threatened component of assemblages. 3. Authors have adapted a widely used measure to provide the first metric describing natural habitat loss for entire assemblages, inclusive of threatened and non-threatened species, which can now be easily described and systematically tracked. 1. Southeast Asia holds high regional biodiversity but is also one of the world's most threatened regions on earth. 2. In the face of myriad pressing environmental problems, conservationists carried out a research prioritization exercise where 64 experts proposed the most pressing research questions which, if answered, would advance the goals of biodiversity conservation and sustainable development in SE Asia. 3. The themes of the top 100 questions indicate the need to evaluate specific drivers of biodiversity loss, study the effectiveness of practice-based solutions, the human dimension, and gaps in fundamental knowledge of ecosystem function. 1. Scientists used camera traps to monitor the distribution of different mammal species in tropical regions to see how they are affected by natural factors and human caused climate change. 2. Authors found that local colonization and extinction dynamics of tropical forest mammals are strongly associated with changes in local temperature, while results further suggest that local mammal‐community composition of differing species can additionally affect these dynamics. 3. Considering the influence of species interactions is essential in climate change projections as they are increasingly incorporated into tropical land management, vulnerability assessments, and conservation planning. 1. Scientists have found that leopards, wolves and hyenas show great potential to share lands with people outside protected areas in India, where the current protected area (PA) network is not sufficient to ensure long-term persistence of wide-ranging carnivore populations. 2. The findings shed light on the ability of large carnivores to exist alongside people in ‘conservation-enabled’ landscapes of India, seldom seen elsewhere in the world. 3. The authors call for recognizing the potential of human-dominated landscapes as conservation habitats, speculating that current and future changes in land-use practices, such as agricultural intensification and spread of permanent irrigation, could bear consequences for the three carnivores. 1. Researchers investigated the drivers and prevalence of wildlife crime in communities surrounding two national parks in Uganda and predicted the performance of potential interventions designed to tackle these crimes. 2. Although poverty is often assumed to be a key driver of wildlife crime, researchers show that better-off households, as well as those that suffer from human/wildlife conflict and those that do not receive any benefits from the parks’ tourism revenue‐sharing, are more likely to be involved in certain types of wildlife crime, especially illegal hunting. 3. The interventions predicted to have the greatest impact on reducing local participation in wildlife crime are those that aim to directly address the drivers including, mitigating damage caused by wildlife and generating financial benefits for park‐adjacent households. 1. Researchers studied flowering and fruiting of the tape seagrass (Enhalus acoroides), the longest-leafed seagrass species in Indian waters and a major carbon sink. 2. The species, which can grow up to a meter and a half long, can bury carbon in underwater sediments 40 times faster than tropical forests bury it in the soil, while providing refuge for more than 1,000 species of fish, and food for green sea turtles and dugongs – a close relative to manatees. 3. The study provided baseline knowledge to protect the species, which is threatened by trawl fishing, sand mining, coastal construction, sewage and other pollutants. 1. Researchers in northern Sulawesi, Indonesia, used camera traps to survey for the Critically Endangered crested black macaque (Macaca nigra) and Vulnerable Gorontalo macaque (Macaca nigrescens). 2. Using spatially explicit photographic records of both species, they found the boundary between the two species is 14.85 kilometers farther west than previously defined, which equates to the discovery of 224 square kilometers, or 7.5 percent, of additional suitable additional habitat for M. nigra. 3. The authors encourage primatologists to think more broadly about the possible applications of camera traps – particularly as they become cheaper – and to include them as tools in their conservation inventories. 1. Researchers studied the little-known diets of a population of eastern chimpanzees (Pan troglodytes schweinfurthii) living in the mountain forests of Rwanda’s Nyungwe National Park by following troops and observing what they ate. 2. The chimps consumed terrestrial herbaceous vegetation throughout the year and, unlike low-elevation chimpanzee sites, figs were also preferred resources, while flowers were consumed at seasonally high rates. 3. Understanding important primate foods is useful in preventing negative human impacts such as logging of available food trees. 1. Between 2003 and 2017, at least 706 southern right whales (Eubalaena australis) calves died at the Península Valdés calving ground in Argentina. 2. Researchers analyzed small and large intestinal contents and found 108 bacterial genera, some of which have been previously implicated in diseases of marine mammals. 3. However, further work is required to determine the exact pathogen that caused the calf deaths at Península Valdés. 1. Myanmar’s Tanintharyi region, which contains one of the last significant contiguous forest areas in Southeast Asia, has been heavily deforested in recent decades. 2. Researchers analyzed the causes of land-use and land-cover change “regime shifts” that transformed these forests to agricultural lands, identifying ceasefires between ethnic groups and the government, and enhanced business relations with Thailand and China as the main drivers. 3. By creating a framework to better understand the causes of land-cover regime shifts, policymakers can preempt future shifts in Tanintharyi, and can apply this framework to the study of land change in other regions. 1. Wildlife species exhibit changes in behavior, population dynamics, and abundance after disturbances to forests. 2. In western North America, large swathes of dead trees have resulted from unusually large outbreaks of bark beetles (Dendroctonus spp.) over recent decades. 3. Researchers looking at beetle-killed forests in British Columbia found that they are not adversely affecting bat presence or activity, nor are they enabling increased use by bats in comparison to activity levels found in other high elevation forests. 1. In 2015, the Sarawak Government made a public pledge to stop illegal logging, create more national parks, and move towards a zero-loss policy of orangutans and their habitats in Sarawak. 2. Eight global positioning system (GPS) trackers, used in an artisanal grouper fishery in Indonesia showed that spear-gun fishers tend to fish within a marine protected area (MPA) and hook and line fishers tend to fish in the southern part outside of the MPA. 3. The recommendations to address these shortfalls include: a) inter-agency collaboration for orangutan population monitoring, b) technological application and intelligence networks to intensify enforcement strategies, c) alternative community livelihood development and self-enforcement, and d) increased public support for conservation policies. 1. A pilot project for the eradication of non-native beavers in Tierra del Fuego started as part of a binational agreement signed between Argentina and Chile. 2. Habitat restorers removed beavers using a variety of methods beginning in October 2016. 3. Eradication was not achieved using the methods and efforts in the first part of the pilot study highlighting the need for more effort or the application of different techniques or trapping strategies. 1. A 55,000-square-mile peatland in the Congo Basin is the world’s largest and contains an estimated 30.5 billion metric tons of carbon. 2. Much of the peatland area is protected on paper by some form of conservation designation, but the potential exists for hydrocarbon exploration, logging, plantations, and other forms of disturbance that would significantly damage the peatland ecosystem. 3. The current low level of human disturbance suggests that the opportunity still exists to protect the peatlands in a largely intact state, possibly drawing on climate change mitigation funding, which can be used not only to protect the peat carbon pool but also to improve the livelihoods of people living in and around these peatlands. 1. Many species use stored energy to hibernate through periods of resource limitation. 2. Previously, researchers have relied on a single study that looked at ground squirrels to measure the energy costs of heating and cooling during hibernation, which is critical to winter survival and reproduction. 3. Researchers have developed a new model that allows for the generalization of energetic costs for multiple species using physiological and other characteristics. 1. Eight global positioning system (GPS) trackers, used in an artisanal grouper fishery in Indonesia, showed that spear-gun fishers tend to fish within a marine protected area (MPA) and hook and line fishers tend to fish in the southern (outside) part of the MPA. 2. This information could support the traceability of the catch, which is a mandatory requirement in the global market, while providing more accurate stock assessments. 3. Better information supports the spatial management of MPAs, and a surveillance officer could use this information to increase the awareness of the fishers to avoid entering the core zone of MPA during a fishing operation.